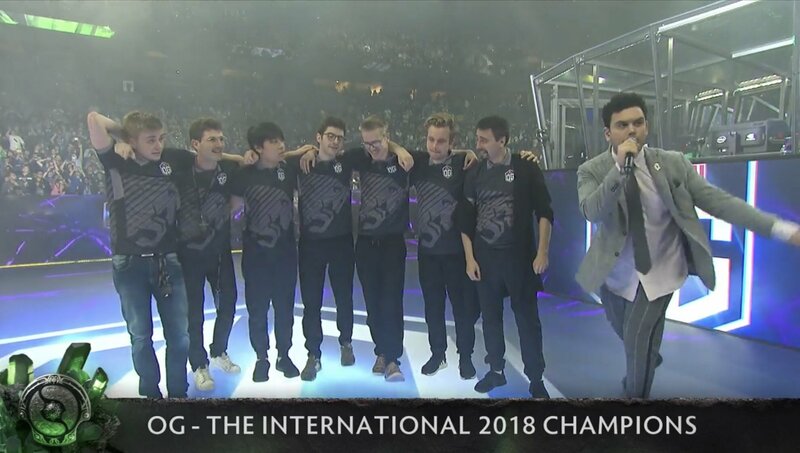 The world’s biggest and most lucrative esports tournament, The International DoTA 2 Championship, just wrapped up its main event in Vancouver. Against the odds, the underdog team ‘OG’ won the event, featuring our very own Aussie Anatham ‘Ana’ Pham making some excellent plays. Soon, Australia will TAKE OVER THE WORLD! Let’s rewind a bit before we delve into the final matches. The base prize pool is $1.6 million, with the rest being crowd funded by sales from in-game items and ticket sales for the event. Pretty good effort right? Single-elimination Open Qualifiers, two brackets for each region. The winners of each Open Qualifier will advance to the respective Main Qualifier. The winners of each Main Qualifier will advance directly to The International. The runners-up of the China, Southeast Asia, and North America Main Qualifiers will advance directly to The International. The third place team of the North America Main Qualifiers will advance directly to The International. 18 teams are divided into two groups where they play in a Round Robin Bo2 format. Top four teams in each group of Group Stage start in the Upper Bracket. The 1st place in each group of Group Stage picks their opponent from either the 3rd or 4th placed team in the opposite group. The 5th place in each group of Group Stage picks their opponent from either the 7th or 8th placed team in the opposite group. Then, the Grand Finals, which is a Best of 5. We withstood LGD’s assault and counter-attacked with great vengeance. A fairly even game, with OG managing to tie the loose ends up at around the 34 minute mark. Another clean game, with PSG ending up with 50 kills vs 25 kills.Things were not looking great for OG at this point. FY shaked up the early game with his Earthshaker plays, however, a fight at Roshan helped OG stabilise and take back the game! The power of flowers and friendship! How much did they win exactly? Mars is yet to have more info released, but had a pretty nice teaser trailer. Thats a wrap on this years International. Even if you’re not a huge DoTA 2 fan, it is still a really engrossing esport. The International is a fantastic event each year, with this one being the best one EVER – in my humble opinion. Check out the vods and clips from the event here and keep an eye on upcoming DoTA 2 news here. Are you a streamer? Check out the Tribefire fan engagement platform beta.